Sometimes the mesothereapy may cause redness or minor bruising over the injected area and the scalp may shed dead cells for the new hair growth but it may all be the temporary side effects. You should be aware about the mesotherapy treatment that what is going to be injected over your scalp & what ingredients are there in injection. Is it FDA approved or not. Self research is very necessary. 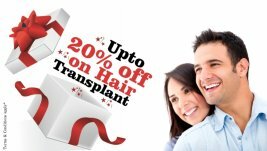 You should always prefer a certified doctor and clinic for the treatment of hairs. It is good for hair re-growth as it gives back the thick and strong hairs within a quick period of time. It doesn’t need any medicines & can be done simply under the professional doctors. Nutirte Mesotherapy is one of the best procedures for hair loss treatment as it not only gives your hair back but helps to resist dandruff. It prevents hair loss and maintains healthy hair.